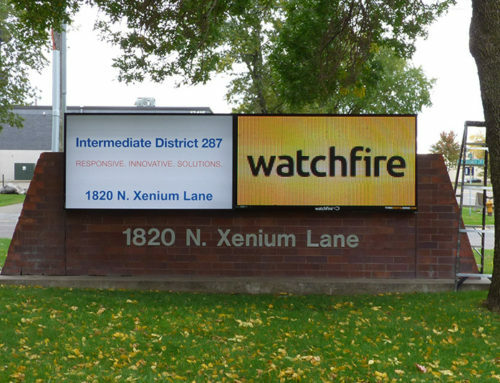 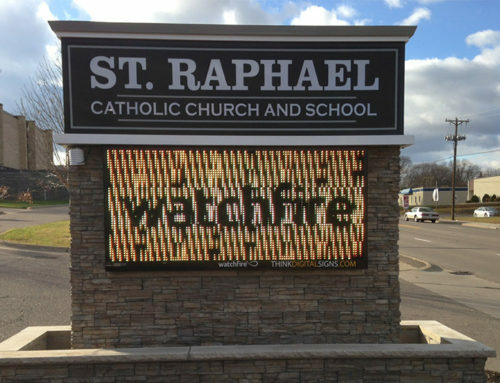 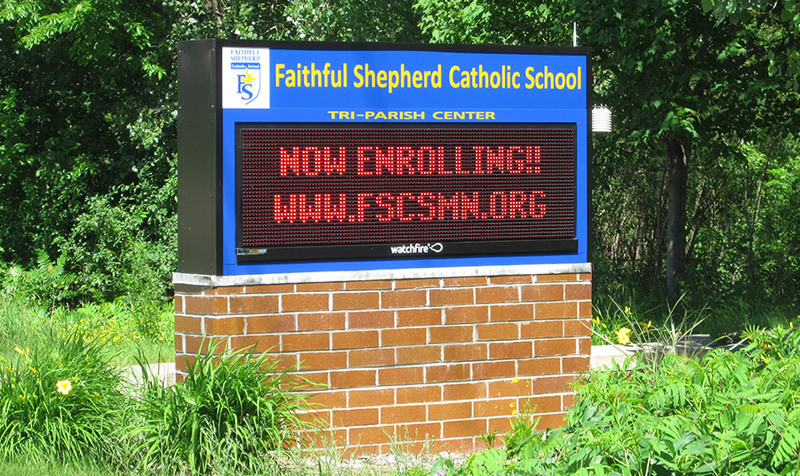 Faithful Shepherd Catholic School needed a dynamic monument sign to draw attention to their secluded location. 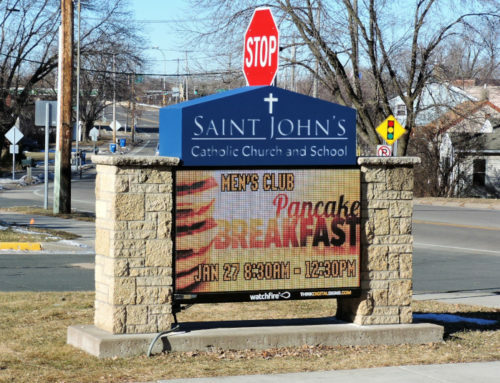 Think Digital Signs stepped in to deliver a thoughtful classic design that highlighted Faithful Shepherd’s location on a very busy thoroughfare. 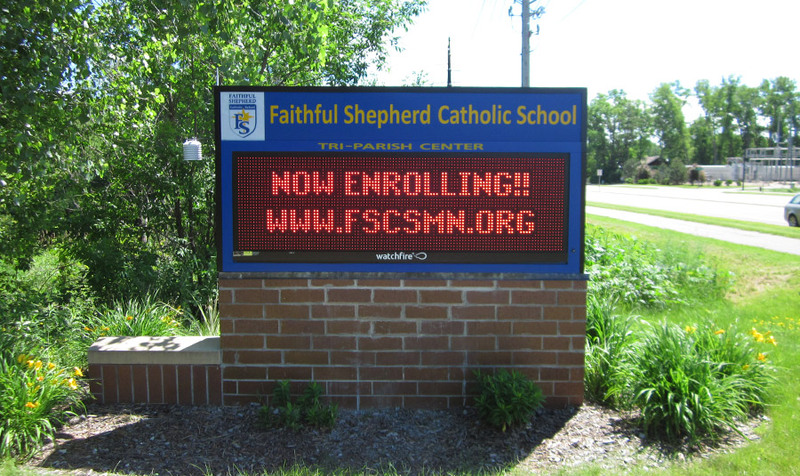 Faithful Shepherd now uses the dynamic sign to promote enrollment and community engagement within the Faithful Shepherd Catholic School family.